Sterling Silver "Tiffany" style Round link necklace . You can have the necklace with or without the round charm attached. We can put a large loop on it to slide on the chain. 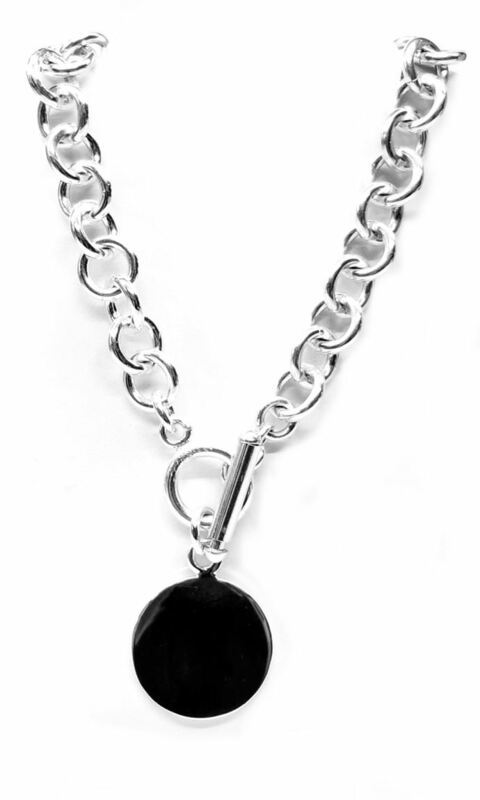 The chain measures 16 1/2" long, the links are 11mm wide. The necklace weighs between 68 and 72 grams.